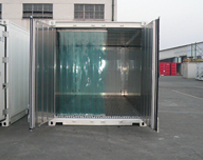 Our containers are based on standard 40ft or 20ft (12m or 6m) refrigerated cargo ship (reefer) containers, and modified to meet our specifications and your particular requirements. 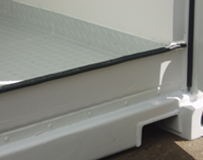 We can also manufacture containers from scratch based on your requirements. ConRail container modifications can include the following. Where possible, we will also incorporate your own custom requirements not included on this list. 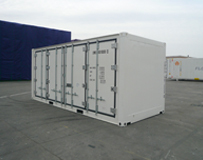 ComRail containers are delivered ready to use, including electrical connections making them plug and play. We can provide technical maintenance by experts, and in the event of a problem we guarantee prompt service and supply of replacement parts. When your needs change, we can accept your old container as a trade-in and collect it from its location. Call or email us or submit the online form on this website with your requirements. Our storage experts will advise you on the most appropriate solution for your needs.